Blippar has launched an education side to their augmented reality platform. Educators can sign up for the augmented creation tool the Blippbuilder. To learn more about the Blippbuilder you can watch their tutorial videos. There are 10 very short video clips that will help you create your own augmented content. To get your account please contact Stephen and the EDU team let them know I sent you. 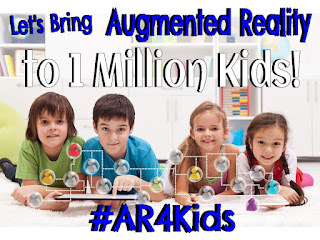 I created a Blipp for my campaign of reaching 1 Million kids with Augmented Reality. Feel free to try it out for your self. Since my Blippar account is an educational account you will need to enter in my code (54535) you do this under settings. I did have teachers asking some questions about Blippar and their policies. 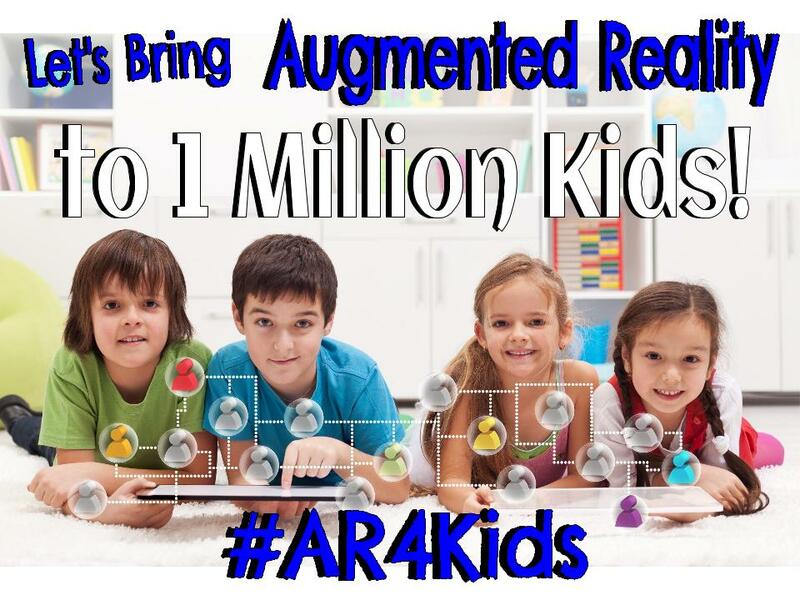 Feel free to reach out to me if you have any more questions or would like to participate in reaching 1 Million Kids with Augmented Reality. 1. How long will the trigger be active? There's no limit on our end, so as long as the teacher chooses to keep it active. 2. How many triggers can you make, is there a limit? There is no limit - teachers are free to make as many pieces of content as they wish. 3. Is there a limit on the file size per trigger? There are limits to individual file types, such as videos and images. There isn't an overall file size limit on the blipp itself, although if there is a lot of content in the blipp then it may be slow to load (in this case internet speed becomes an important consideration). You can fit a reasonably large amount of content into the blipp before this becomes a problem, though. 4. Can students have builder accounts? They sure can. However, each student requires an individual email address in order to activate their account. 5. How long does it take to process a trigger before it become alive? If teachers save all their blipps into a single campaign, then a single 'campaign code' will unlock all of the individual blipps within. Furthermore, the Blippar app remembers the code even after it is closed down, so students only have to enter the code once. After this, the blipp behaves like any other live blipp when the app is open and pointed at the marker.